It won the title of "Honoring Contractual Obligations and Credibility" from Shenzhen Administration of Industry and Commerce. It was the designated Manufacturer of Commercial Cryptographic Products by the National Crypto Management Committee. It was permitted to sell commercial cryptographic products by the National Crypto Management Committee Office. 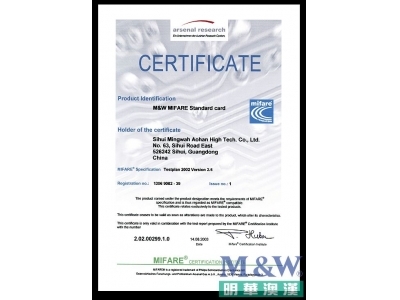 It won the Registration Certificate for Integrated Circuit Cards issued by the National IC Card Registration Center. Its SmartCOS passed the inspection of the Bank Card Testing Center of the People's Bank of China. It won free support from the National Technology Innovation Fund for its SmartCOS Project, the only recipient of such an honor. 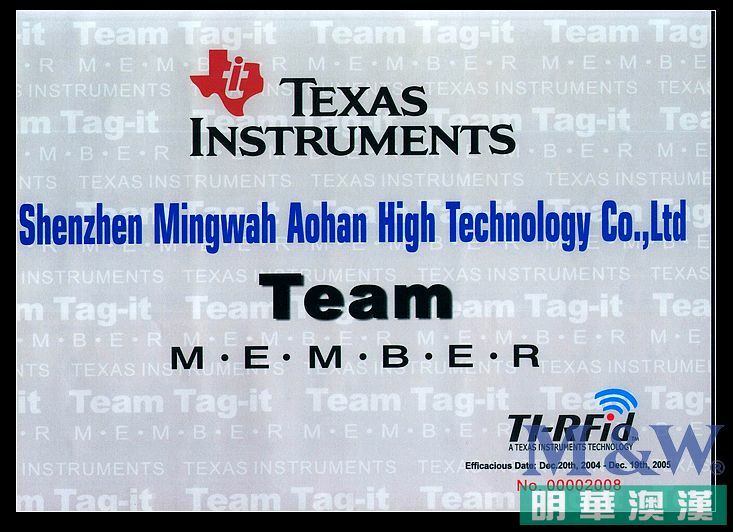 Mingwah's Petroleum and Chemistry Filling Cards have passed the testing of the China Petroleum & Chemical Corporation. Mingwah's Social Security Cards have passed the testing of the Ministry of Labor and Social Security. It passed the Certification of the ISO9001 International Quality System. It is a formal member of the ETSI. 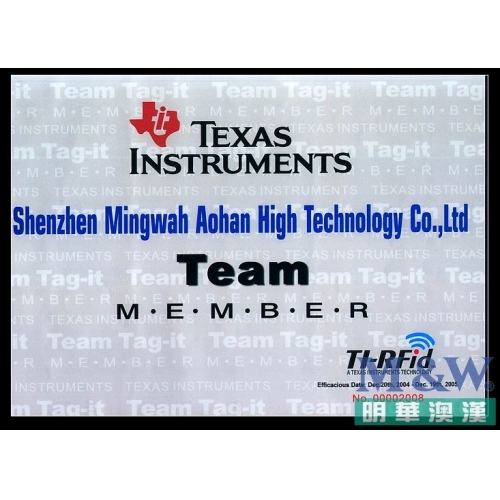 It has been appointed by the Ministry of Construction as the Manufacturer of IC cards for Application Projects. It has been appointed by the Ministry of Construction as the Provider of System Integration and Related Instruments. It has been recognized by the Science Commission of Guangdong Province and the S& T Bureau of Shenzhen City as a New High Tech Enterprise. It won the Commendation of the People's Government of Shenzhen for 4 consecutive years as a "Major Business Taxpayer of Shenzhen". It won the honorary title of Model Taxpayer by the State Tax Bureau of Shenzhen. It won the title of Brilliant Star jointly bestowed by the Guangdong Administration of Industry and Commerce, the Association of Individually Operated Enterprises, and the Association of Privately Operated Enterprises. It is a Privately Owned and Operated R&D Company recognized by the Guangdong Science Commission and the Shenzhen S&T Bureau.